PREACHER, TEACHER, WHAT ARE YOU? Preaching the gospel is the most wonderful, scintillating, and powerful way to communicate to another human being. Jesus’ believers know that from the time they wake up till they go to sleep at night, they should seek any opportunity to share the truth about the Grace of Jesus Christ with someone who is lost and is willing to hear. It is truly exciting! The angels in heaven sing praises to God for every one who is saved. There was a time when the Church in Jerusalem was persecuted so severely the believers were driven out of Jerusalem but did that discourage them from preaching the gospel? No! Everywhere that they went they shared the good news of the Kingdom of God and salvation through Jesus Christ. One doesn’t have to be ordained to teach the Word of God. Jesus made it plain enough that we are commanded to teach others what He has taught us. At one time Jesus sent out 70 disciples to teach His word to anyone who would listen. Don’t be idle as one on milk! Spread the Gospel! There are literally billions of people on this earth who are not saved especially in China and India, the two most over populated nations in the world. And above all, pray that you be given opportunity as Jesus commands. 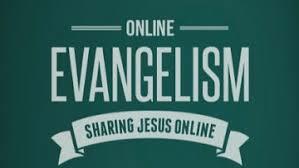 Jesus is effectually sending all believers out to teach the word of God. I pray that Jesus blesses you all that you bear much fruit! 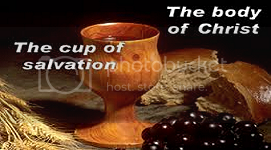 Categories: Devotionals | Tags: believe God, Christianity, commanded to teach, God, Jesus Christ, Kingdom of God, live the Word, preach the Gospel, preach the Word, preaching the Word, salvation, share the truth, spreading the gospel, teach all nations, teach the Word, Truth of God | Permalink.